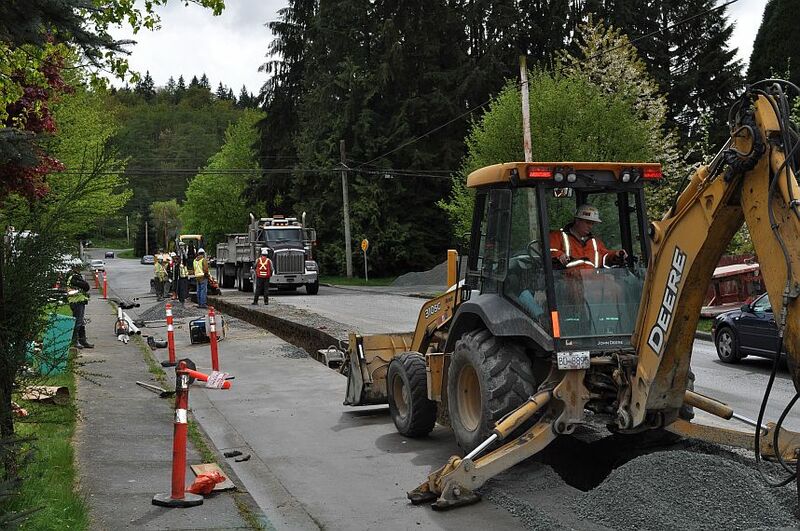 During the recent panic around transportation funding in Metro Vancouver, the authorities assured us that construction of the long-awaited Evergreen rapid transit line will proceed. Preliminary work — street widenings, electrical ducts — is now underway, and a contractor is to be selected soon for principal construction, scheduled to begin in autumn 2012. But while the 11-kilometre line appears to have achieved untouchable status in the balance of regional politics, there are persistent voices in the blogosphere who say the project is wrong, wrong, wrong, because it’s based on Skytrain — the obtrusive technology previously used in three other Vancouver-area projects, and hardly anywhere else in the world. In deliberations over the Evergreen Line around 2006, local mayors seemed to be leaning toward light rail transit, until the provincial government declared force majeure and imposed Skytrain. The same dynamic had played out, less dramatically, with the Millenium and Canada lines earlier on. Most critics of Evergreen favour ground-based urban rail. Some say Skytrain, by comparison, is too expensive — “gold-plated,” in fact — while others see it as simply inhumane. The above is from Stephen Rees, a rather strict former regional planner. What he is saying, I think, is that true light rail or streetcar technologies help to create urban villages, while Skytrain co-exists with urban highways and creates colonies of towers. The last part, at least, is demonstrably true in Metro Vancouver; with rare exceptions, such as at Commercial Drive, Skytrain bypasses the urban villages. However, this observation will not necessarily block future Skytrain construction. Planners and amateur urbanists aside, most people see mass transit as a way to move people rather than shape land use. Skytrain moves a lot of people over long distances, and the people of Fraseropolis tend to be fairly spread out. The Evergreen Line’s capacity, according to the provincial government’s business case, is more than twice that of ground-level light rail, and the travel time from Coquitlam City Hall to Lougheed Town will be one-third less than that of light rail. The cost calculation also seems to favour Skytrain; the provincial numbers say the initial construction cost of Skytrain is 12 per cent higher, but the eventual operating cost per passenger is about one-quarter the per-passenger cost for light rail, partly because the trains are operated remotely from a central control room. Of course, some critics say Coquitlam should not have rapid transit at all, arguing that the city lacks the density to feed a rail service. But the current projection is for 70,000 riders per day by 2021, or 10,000 riders per mile; if Wikipedia and friends are to be trusted, this is not bad in either the regional or the North American context, although it is far below the norm for Toronto or Montreal. 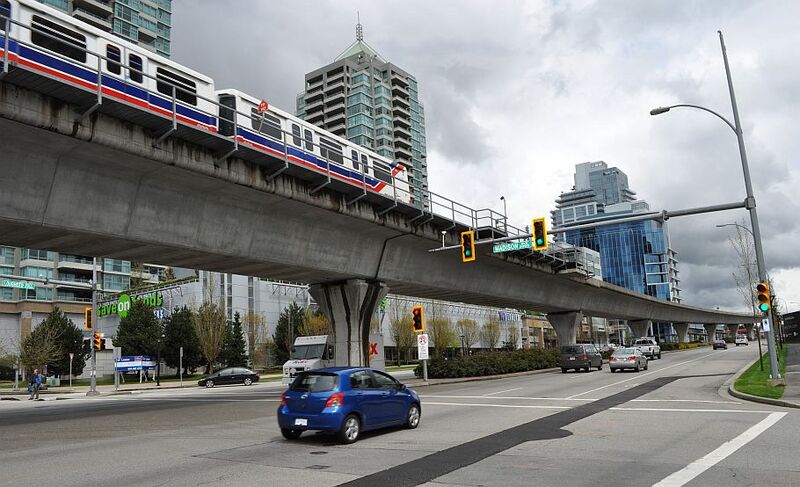 In the ideal world, we would have both: LRT to build urban villages, and grade-separated longer-distance trains to connect over the Port Mann Bridge and out to Maple Ridge. Mayor Dianne Watts of the City of Surrey has declared her preference for a community-friendly light-rail system, and has created an office to make it happen. One challenge, as I see it, is to convince taxpayers region-wide to support a system dedicated to a single community. Another challenge, more relevant where urban villages already exist — say, West Broadway or Main Street in Vancouver — is that in many areas, the political cost of fighting merchant oppostion to build an on-the-ground rail or streetcar system may be too high to take on. I am not a “professor emeritus”. But that particular passage might well have been written by Professor Patrick Condon, who is one of those who understand that transit shapes growth (no matter what “most people see”). Indeed that is one reason why I advocate building transit before the people move in. Coquitlam would be a very different place if there had been rapid transit in situ before most of the residential development. 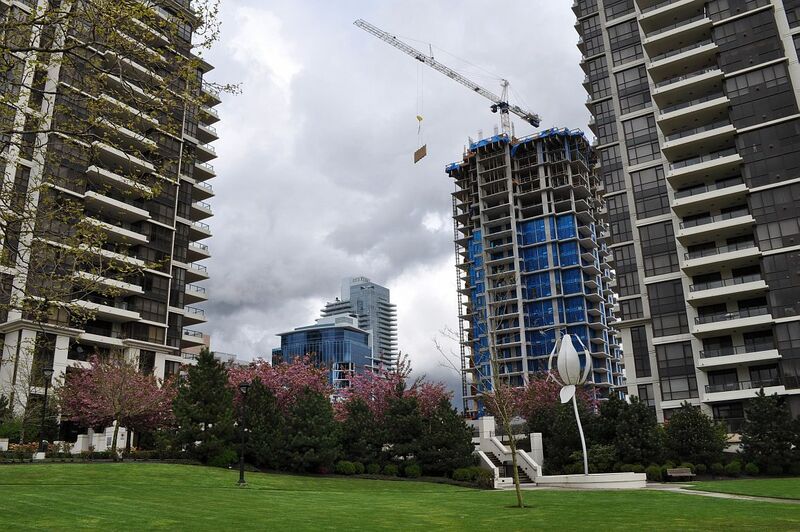 Indeed, that is why Vancouver – and City of North Vancouver, and the City of New Westminster – look quite different to more recent developed parts of the region. 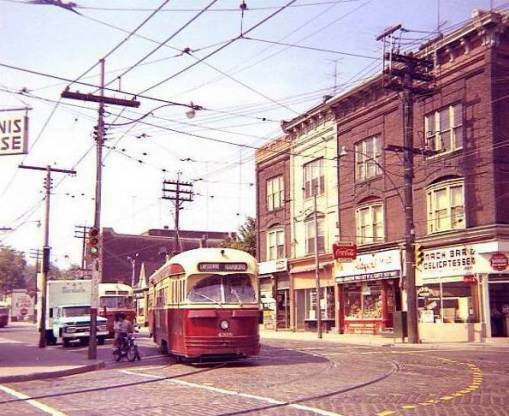 What Gordon Price refers to as “streetcar villages”. Now that a lot of people are here, we have to fit transit around them, and since they seem to be averse to paying for public services, we are obliged to find lower cost ways of doing that. If we can find ways which also produce better urban environments, then we have a winner. SkyTrain is good for its riders, and its structures are lighter and less intrusive than old fashioned “elevated” tracks. But that is still what they are. Subways are horrendously expensive and largely unneeded here. They can only be justified by order of magnitude increases in ridership. That means adding zero or two to the end of the numbers we look at when evaluating these things. But, instead of all that we are widening the freeway and building a new Port Mann Bridge. We seem able to find th money to make the same mistakes all over again, but not enough to do the right thing. And the fight is not between transit trechnologies but between transit oriented development and auto oriented development – which is what Fraseropolis has now, and will have for the foreseeable future. Thank you, Mr. Rees. I have changed the text to “former regional planner.” And I agree that it’s peculiar how even the people who are engaged in building transportation infrastructure (recalling my acquaintance with people inside the Millenium Line project) lose sight of the land use implications. Unless I am misreading that sentence, Canada Line is not “Skytrain” / LIM / Bombardier ART. OK adopting my strict pedagogical persona, BC Rapid Transit Co (a Translink subsidiary) operates the Expo and Millennium Lines. The Canada Line is operated under a separate contract by InTransitBC – a P3. Right. InTransitBC operates an active website (thecanadaline.com) which I should have known about. The site promotes art shows and other events along the line, but does not attempt a technical description of what the Canada Line is. I also checked the Government of B.C.’s 2+ page opening day news release (August 17, 2009); and again, there was no attempt to characterize the line as belonging to this or that kind of system category. The whole argument between street-grade LRT and grade-separated metro transportation is irrational. The point of train transportation is the separate yourself from traffic and be able to time your departures and arrivals to the minute. Either of which is impossible for street-grade LRT. Whenever I’ve been in a city where I’ve taken street-grade LRT I’ve always had to suffer delays and the ride has always taken longer than expected: Istanbul, London-Croydon, Vienna, Amsterdam, etc. And it’s always traffic, the tramcar always ends up stopped in the middle of a traffic buildup near an intersection. If you’re not going to respect the riders and give them punctual and reliable public transportation by cheaping out, then just keep the buses because the only different between a bus and LRT is the wheels are made of a different material. Thanks, A Stewart. I tend to agree that a sprawling region like ours needs a high-speed rail system with limited stops. However, a decision to install streetcars in densely-settled areas is not necessarily irrational or flaky. Their sense of permanence tends to encourage long-term land use decisions that serve local communities, and they are quieter and less intrusive than buses. I don’t have the science on my desk, but when I worked at the now-defunct BC Transportation Authority, the planners took it as a given that any time of rail is much more effective than bus transit in shaping urban form. Streetcars/trams/LRT will bring people to the (sky)trains. Why not use both? Take a look at the Netherlands, where that works really well. I agree completely, Stefan. I can see street cars in several areas that I have visited for this site — on Main Street in the City of Vancouver, for example, or around False Creek and into Gastown, or up Lonsdale in the City of North Vancouver.